The International Baseball Centre opened in 2015. It is the first International Standard Baseball Field in Ireland. The field is the home field of the Ashbourne Giants, a team in the Irish Baseball League. 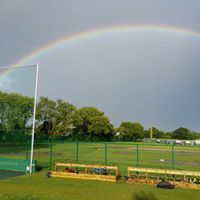 The IBC is also the host field for the International Baseball Festival, an annual international baseball tournament held in Ashbourne, Co Meath. The tournament has featured the Irish National team competing against teams from Belgium, Mexico, the Netherlands, Spain, Venezuela and the USA. The crowning moment for the IBC was it being the host field for the European Baseball Championship Qualifying Tournament held in Ireland in 2018. In the tournament, the Irish National Team went undefeated against teams from Greece, Slovenia, Finland and Norway to advance to the next stage of qualifying. The Ashbourne Giants are proud to call this our home field. You can check out upcoming Giants and tournament games in Team Schedule. Food and refreshments will be available at all the games.